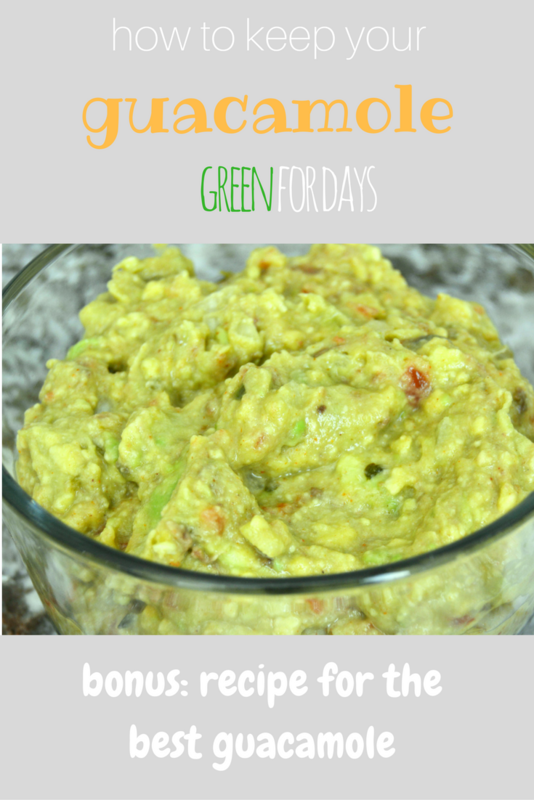 Simply Shaunacey: the BEST guacamole recipe AND how to keep your guac green for days! the BEST guacamole recipe AND how to keep your guac green for days! 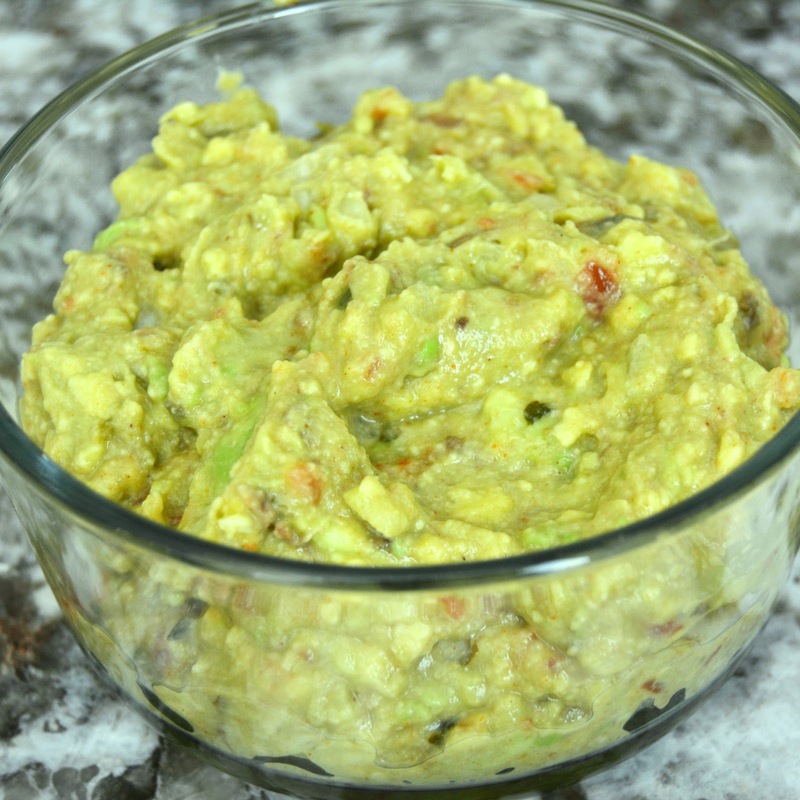 Cut avocados in half, remove pit and squish the good stuff into a bowl. I use a potato-masher to squish it all up (a fork would work as well). Add diced onion (I like mine very finely chopped) and press clove of garlic (if you don't have a garlic press you can chop it finely) into bowl. Use a lemon juicer to squeeze in juice of lemon and lime. Sprinkle in paprika (half a tsp ish but I usually eyeball it) and add sea salt to taste (I twist a few times - how's that for specific?). 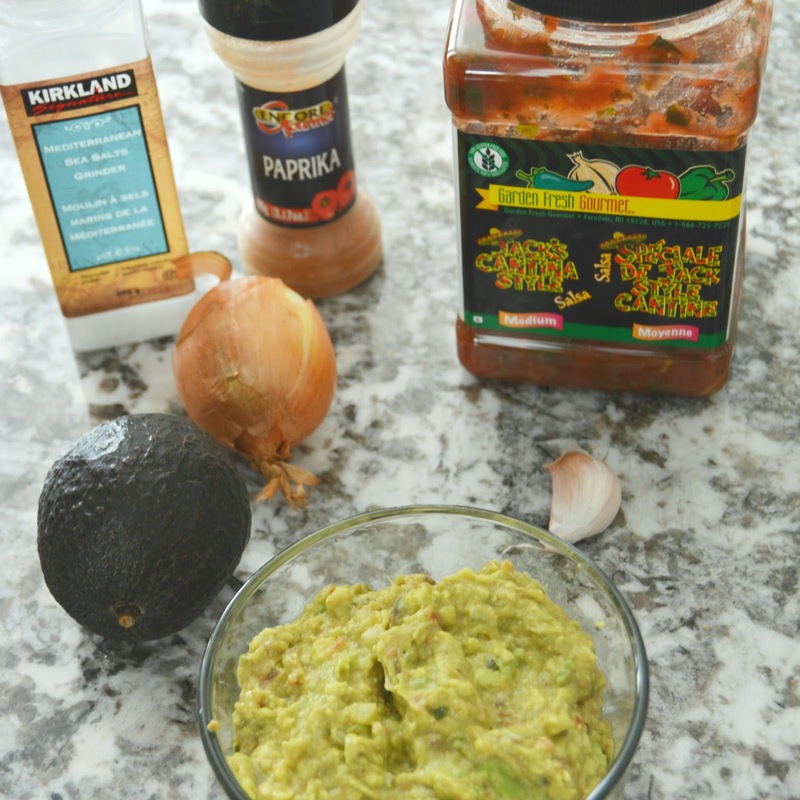 Add 2 tablespoons of fresh salsa (you can used jar stuff, it's just not as good) OR 2 tablespoons diced tomato (I usually use salsa because it adds a little extra flavor). Chop and add cilantro to taste (I'm hit and miss with cilantro so it doesn't always make the cut). Mix all together with a spoon and sit in the corner with the chips and eat the whole bowl serve. **most people add lime only to their guac, big mistake, HUGE! Trust me on the lemon, it's delish! 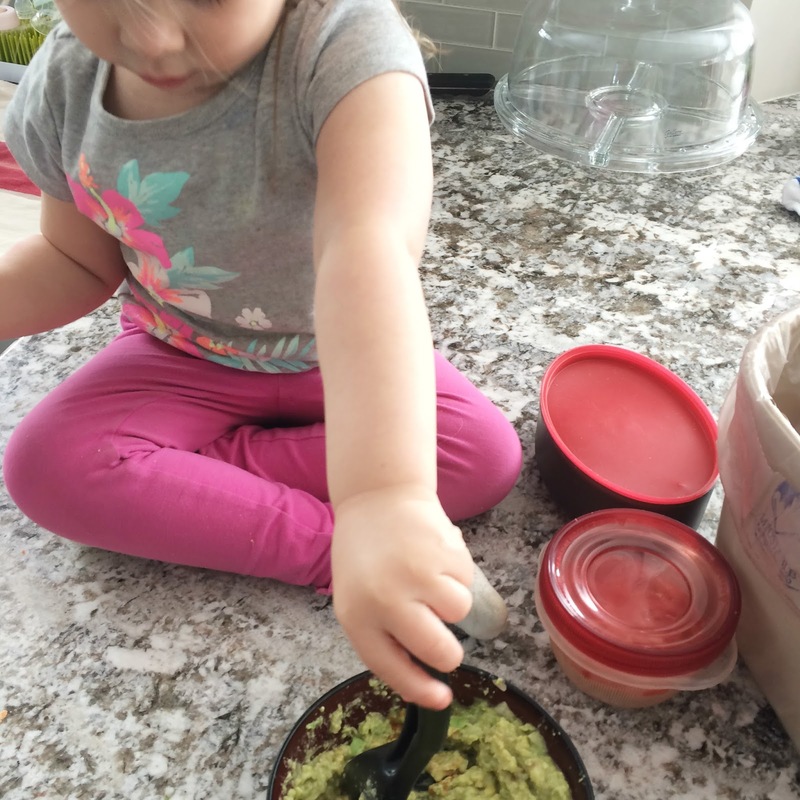 if you've got little ones, they LOVE mashing the avocados up!! Alright, now you've got a giant bowl of guacamole and you're thinking "if any survives snack-time won't it turn brown?" Yup, it would have but I'm going to help you with that too!!!! Option 1: slowly poor a small layer of water over your guacamole prior to refrigerating. Simply pour off water before you serve. NOTE: I find this doesn't work well unless you have fairly thick guacamole, otherwise, the water doesn't pour off easily and no one wants watered down guac, trust me. 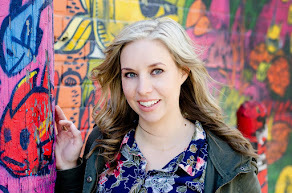 Option 2: My preferred method. Cover your guac with saran wrap but press the saran all over the guacamole so that plastic wrap is touching the whole top layer (no air bubbles). I typically use a container with a lid and put the lid on after I've done my thing with the plastic wrap. Once you're ready to serve, simply remove the plastic wrap, give a quick stir and enjoy. 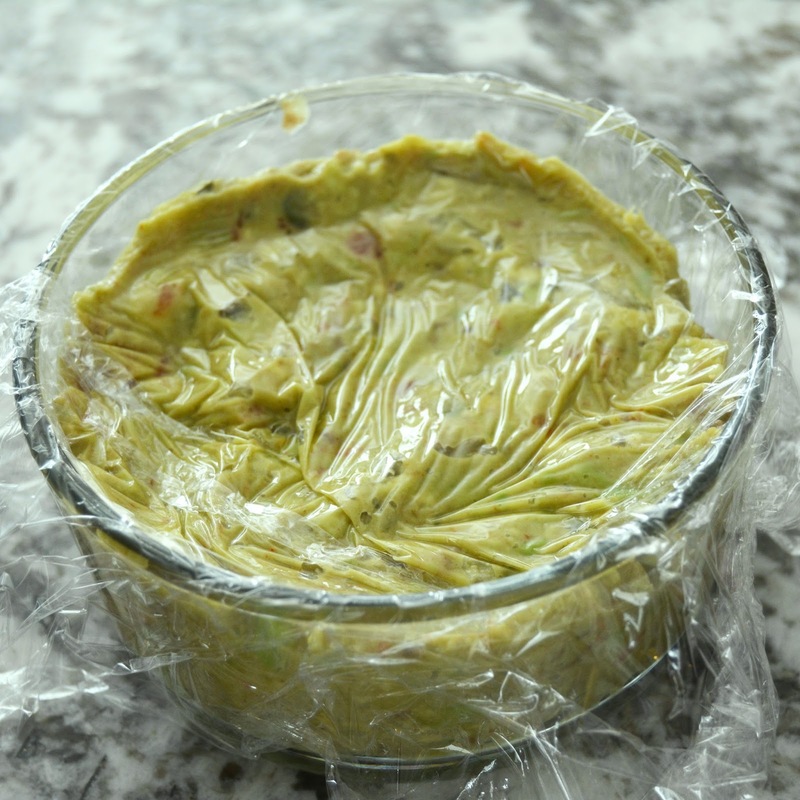 My guac stays green a solid 3-4 days in the fridge (well, if I can keep my hands off it that long).